Patricia uses Corkboard to share and discover. Food and crafting enthusiasts look forward to the weekends to create, experiment, and stock the pantry with handcrafted edibles and gifts. 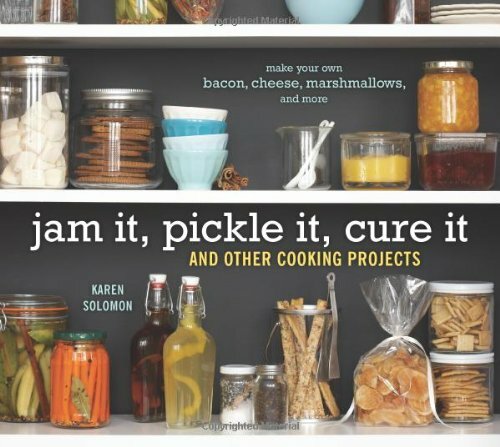 For creative urban dwellers, the kitchen is a workshop space, and JAM IT, PICKLE IT, CURE IT is its how-to guide. This savvy collection of 75 recipes for creating homemade artisan foodstuffs features delicious projects easy enough to be completed in one to two days. Detailed instructions, prep-ahead tips, shopping lists, and optional extras outline the shortest route between crafty cooks and a pantry full of hand-labeled, better-than-store-bought creations.